The most effective DUI Attorneys in Michigan know that the best defense is a good offense. Police regularly make mistakes that only the most experienced DUI lawyers can recognize. A great DUI Attorney will know how to turn even the smallest errors into positive results for the client. Since DUI cases can be extremely difficult defend, it is of the utmost importance that you work with only the best DUI lawyer to ensure the greatest outcome of your case. At LEWIS & DICKSTEIN, P.L.L.C., each and every one of our lawyers have decades of experience defending and winning DUI cases. When you are represented by our team of DUI Attorneys in Michigan, you know that you will get tireless, zealous and fearless representation. Most attorneys who claim to “specialize” in DUI cases, really only specialize in getting paid and taking pleas. The prosecutors know whom the “plea lawyers” are but the client doesn’t. If you are represented by a lawyer with a reputation for pleading out all of his or her cases, what incentive is there to offer any type of extraordinary plea bargain? None. Why should you hire a lawyer who is known for being a fighter? Because they are a credible threat to the prosecution and, as a result, stand in the best possible position of getting an acquittal, dismissal, suppression or extraordinary plea bargain. There are many defenses to DUI cases, and here are a few of the defenses that have been used by LEWIS & DICKSTEIN, P.L.L.C. Field Sobriety Tests Are Not Accurate. Does a defense have to be a 100% win to be effective? No. Any defense that weakens the prosecution’s case, increases the bargaining power of the defendant and decreases the threat of conviction from the government. 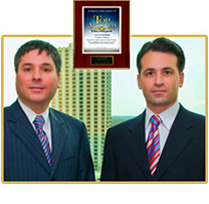 The DUI Attorneys with LEWIS & DICKSTEIN, P.L.L.C. are ready, willing and able to help you and defend you against misdemeanor or felony DUI charges. When your future is on the line and you cannot afford to take chances with just any lawyer, you will want us on your team. While no result can be guaranteed, we will do everything possible to get your charges dismissed or reduced, eliminate jail time, reduce fines and costs, and prevent the judge from ordering terms and conditions of probation that will set you up for failure. We will not let anything stand in our way when it comes to getting our client every possible advantage in court.